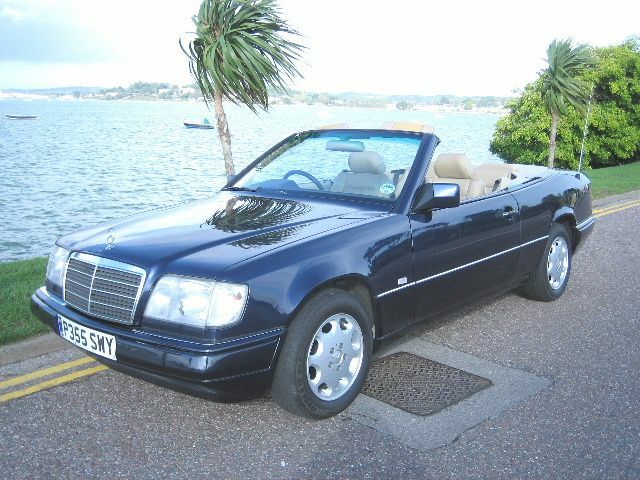 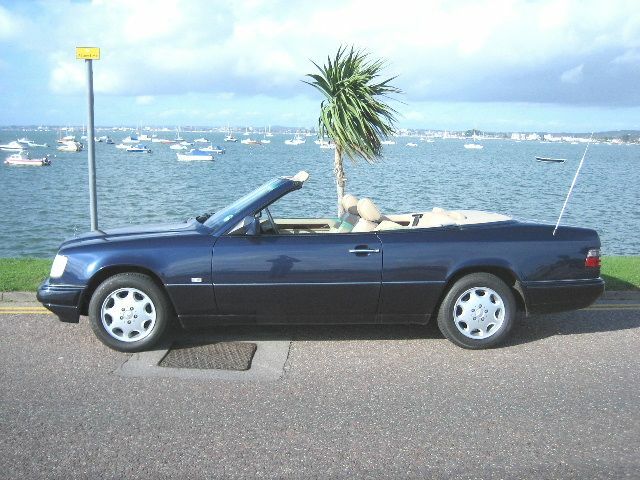 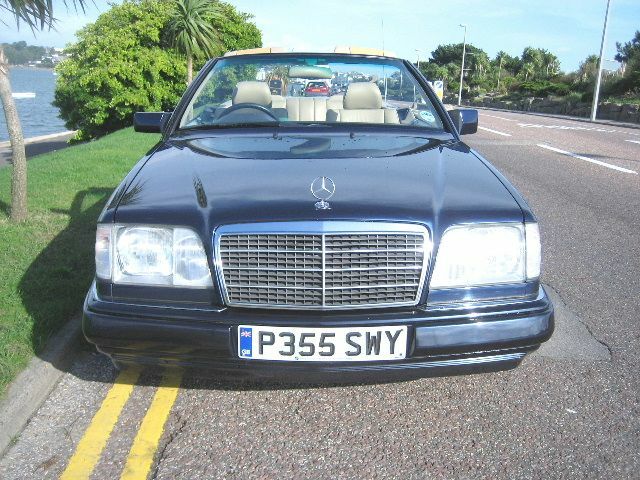 MERCEDES-BENZ E220 Cabriolet, P Reg, Metallic Azurite Blue. 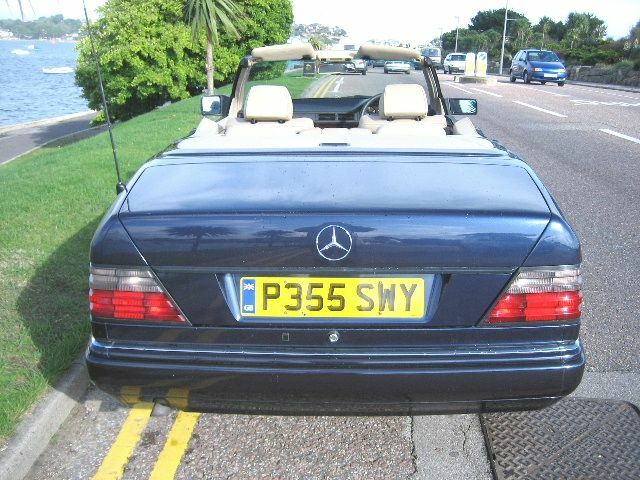 ABS, Adjustable seats, Alloy wheels, Anti theft system, Electric mirrors, Electric windows, Head restraints, Heated screen, Heated seats, Leather upholstery, Immobiliser, Passenger airbag, Power assisted steering, Rear armrest, Remote locking, Radio/Cassette, Rear headrests, Tinted glass, Wood/wood effect trim. 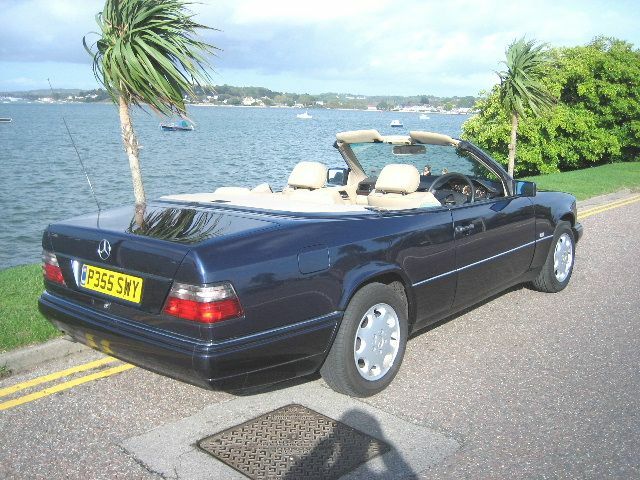 Power-roof,Full Service History with 13 stamps.